The 15th Nanyang Jade Carving Cultural Festival & 9th China Rose Festival opened ceremoniously on April 26, 2018. With the theme “gathering in ecological livable Nanyang; touring in the flowery jade city”, the Festival was jointly sponsored by the Gems & Jewelry Trade Association of China (GAC), Chinese Rose Society and Nanyang Municipal People’s Government. The Festival consisted of six sections: the Opening Ceremony, Jade Culture, Rose Festival, Talents and Investment Attraction (also activities of “Experts To Nanyang, Thousand Talents Program”), Tourism and Sports Culture. Simultaneously held were the issuing ceremony of the stamps “Queen of Flowers·Nanyang Rose” (Group 6) and the launching ceremony of “Hometown Henan · Summer Resort Nanyang” Cultural Tourism Festival. In recent years, with jade and flowers as the medium, Nanyang has been expanding exchange and increasing popularity. And now Nanyang has become the largest jade processing and wholesale center, jade talents cultivation and output base, and jade culture research and diffusion base in China. The number of jade practitioners in Nanyang amounts to 400,000, with the annual production sales of over 20 million (jade carvings), accounting for about 30% of the total in China. Nanyang is also the largest rose breeding and production base in China. The current rose planting area is nearly 100,000 mu, with annually more than 1 billion rose plants output from nurseries and 1.5 billion yuan’s output value. The supply of rose plants accounts for 80% of the domestic market, and the export volume of rose plants takes up more than 70% of the total in China. 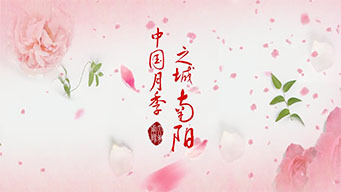 This festival focuses on displaying the developments and achievements of Nanyang jade carving and rose industry, and pushing forward in-depth publicity and promotion of Nanyang local brands, seek extensive exchanges and co-operation, and comprehensively accelerate the development of jade carving, rose and cultural tourism industries in Nanyang.